Entering preseason, knowing it’s their last one as Pioneers, the softball team has its goal set on success. With a team led by upperclassmen, their final destination on their last ride is a spot in the World Series. Last year, the team made it to the East Super Regional and finished as one of the top 16 teams in the country. They were two games away from the World Series, which is the last portion of the NCAA national championship where the last eight teams meet. 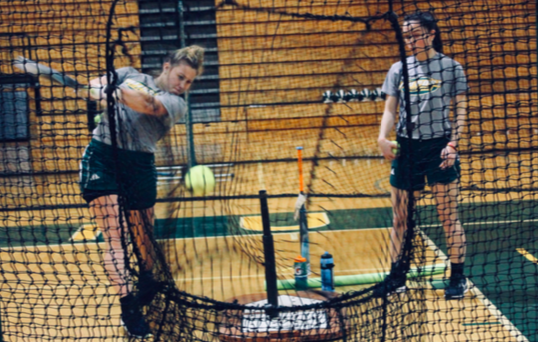 This year, entering his 21st and last season as LIU Post head softball coach, Jamie Apicella wants to make it further. “Our goal is to get into the NCAA’s to have a chance to play for the regional championship and then also the national championship,” he said. Senior pitcher Hannah Olshevski, a health science major, is also determined to make it all the way to the World Series. “That has been our goal since we got here,” she said. To make it to the NCAA’s, the team has to be successful in their conference. “What is unique about softball is that you play so many games. We play 56 games and we play each conference opponent four times,” Apicella said. “We try to win the regular season to be able to host the East Coast Conference tournament.” Apicella hopes those achievements will lead the team to the national tournament. Heading the team is an experienced group of players who will chase the championship titles. “We have pretty much our whole team returning. We only lost one starting player from last year,” Olshevski said. Apicella sees this as one of the team’s biggest strengths. “Our strength is our upperclassmen who have experience. We have a returning senior class that has been instrumental not just going into this year, but the last three seasons,” he said. The players rarely talk about the merger. “As we start to get towards the end of the season maybe those emotions might creep in again, but hopefully we are playing for a conference championship game and a regional championship game and we are still excited about the possibilities we have,” Apicella said. 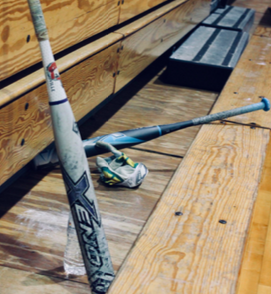 After the season, non-graduating players will either transfer to continue their softball collegiate careers elsewhere or stay at Post without playing. According to Apicella, the opportunity to stay and play after the merge was not offered to his players. The team opens the season on March 3 in Florida against one of their biggest rivals in the region: Saint Anselm College. “They have the best pitcher in the region right now, so I think that’s our strongest opponent we will face all season,” Apicella said. Their first home game is March 14, against Adelphi University.